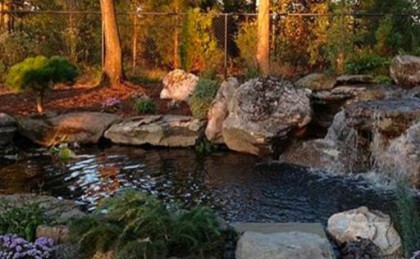 At Peaceful Ponds, we’re passionate about the way of life that caters to custom water features and all that encompasses such as serenity, tranquility and appreciation for nature and beauty. We’re dedicated to striking the essential balance that exists between landscape and hardscape. 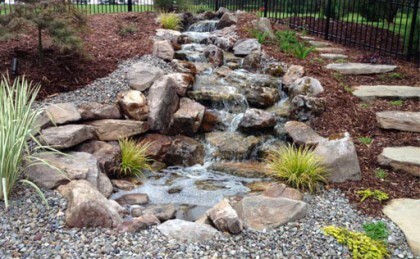 We are committed to designing and installing custom water features that add beauty to any landscape. Our goal is to create a peaceful and relaxing environment and to make a positive impact on the lifestyle of our customers. You are invited to look at our gallery of work, videos or spend a minute on our contact us page and tell us your ideas. "My wife and I want to thank you for all the hard work your team did in the repair and re-design of our water feature. We felt that your suggestions multiplied the beauty of what we already had as a water feature. Great job Brian! "Brian and Peaceful Ponds did a great job with our landscape transformation and we couldn't be happier with the results. From the design phase all the way through to the installation, they were easy to work with, creative, reliable, hard working and highly skilled craftsman. We highly recommend Peaceful Ponds and so glad we selected them! © 2019 Peaceful Ponds. All Rights Reserved.